The cleaning up process after the powerful storms is done by 12 daily workers and our own team. There is so much to clean and to rearrange. 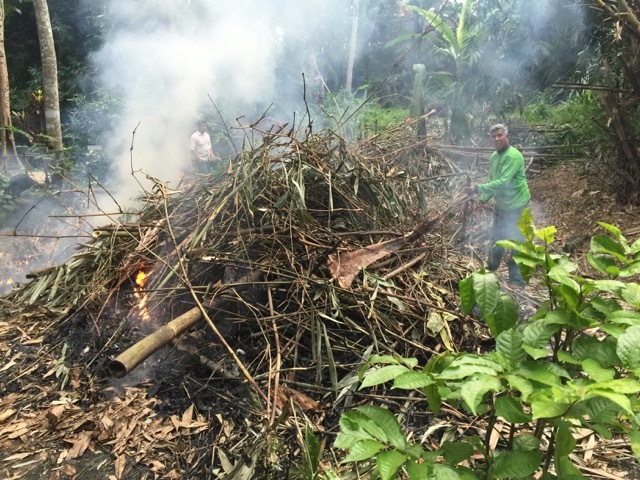 Here we are burning some the Bamboo left overs from cleaning the more than 200 Bamboo which were felled by the storm. 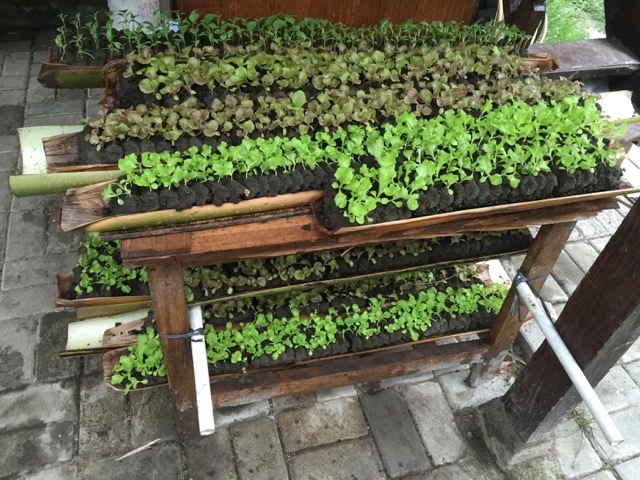 The new salad plants, after re-creating our garden soil which was flooded away by the large storms are waiting to be reinserted lovingly into the earth in our mandala and butterfly garden. They will need initially protection with a plastic roof until the plants are big enough to not be destroyed by the strong rains. We had several very severe storms on Bali lately. This last one has uprooted 7 of our beautiful trees. 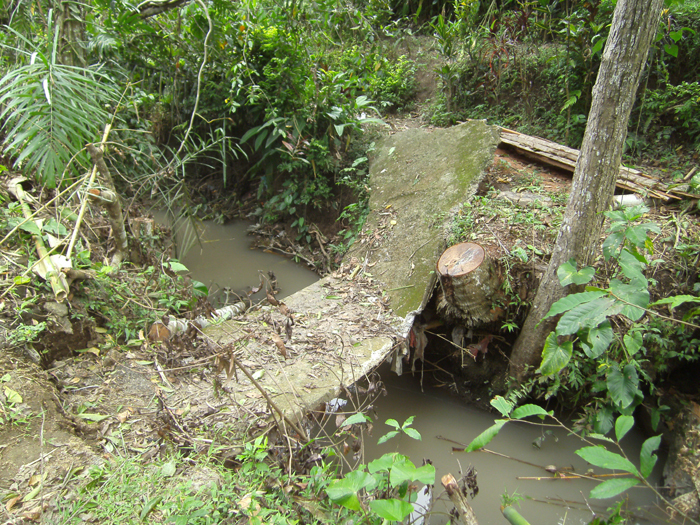 The storm caused quite some damage on our premise - one of the entrances to the coconut house was damaged, and also a small bridge was destroyed when a tree fell on it.